When you drive through hardline republican areas of Northern Ireland, you’ll find the kerb stones painted green, white and orange, there will be Irish tricolors flying proudly over the nationalist areas — and they’ll be in good company alongside the occasional green, white, red and black flag of Palestine. There is much in common between both causes — an illegal occupation, a history of repression, internment without trial, seized homes and the delivery of arbitrary justice. Conversely, in hardline loyalist areas of Northern Ireland, the kerb stones are painted red, white and blue, the Red Hand flag of Ulster flies proudly over the unionist areas — and they’ll be in the company of the Star of David flag of Israel. No, there are few Jews in Northern Ireland, but the loyalists find cause to celebrate in a state that suppresses human rights, acts arbitrarily to thwart an occupied people and ignores the most basic tenets of the principles of law and justice. Should you find yourself in Celtic Park in the Scottish city of Glasgow when the green-and-white shirts of the home team are playing, you will likely see the occasional Palestinian flag flying. Yes, Celtic have been fined and reprimanded by Uefa, the Union of European Football Associations, for the political expressions, but Celtic fans have an affinity with the Palestinian cause. And should you find yourself on the other side of Glasgow, at Ibrox Park, when the blue and white home team of Glasgow Rangers are playing … Well, you get the picture. The Palestinian cause is near and dear to Irish nationalists — and to politicians too in the Irish Republic. And last week, the Dail — the lower house of the parliament in Dublin, voted on the second reading of a Bill that would stop companies in Ireland trading with firms of people based in the occupied West Bank. The Bill came from the Seanad — the upper house or Senate — and has so far made steady progress through Parliament. One more vote and a signature from the president, and the bill becomes law. The last time the Bill was put to a vote last week, it passed by 78 to 45, with the minority government opposing it on the grounds that it could have negative effects for Irish companies trying to do business in the United States — whose administration is so pro-Israel that it defied five decades of conventional diplomatic thinking to move its embassy from Tel Aviv to occupied Jerusalem, recognising the city as the capital of the Jewish state. As you would expect, the response from Israel has been long and loud and, quite frankly, isn’t worth a toss given its history of abuse and crimes against the Palestinian people. An Israeli parliamentarians’ trip was cancelled, the Irish ambassador was called on the carpet, and the Knesset promised measures should the bill eventually become law. They even mentioned a boycott of Irish goods, and somehow the prospect of thirsty Israelis crying into empty Guinness glasses is somewhat welcoming. And, for the record, the very term ‘boycott’ is a phrase and tactic that was coined in Ireland, an act of resistance against absentee British landlords of the 1870s onwards who seized and evicted Irish farmers from their fields — that should sound familiar to occupation forces and their seizure of Palestinian lands for Israeli colonies. Historical fact: Captain Charles Boycott was the land agent for the Earl of Erne who occupied more than 15,000 hectares of land in Mayo in the west of Ireland in 1872. He tried to expel those leasing small holdings for exorbitant rates on behalf of the landlord, and was ostracised and shunned — no one talked to him, did business with him, sold him as much as a slice of bread — a tactic that eventually led to the climb down, and the entry of the word ‘boycott’ in the English lexicon. 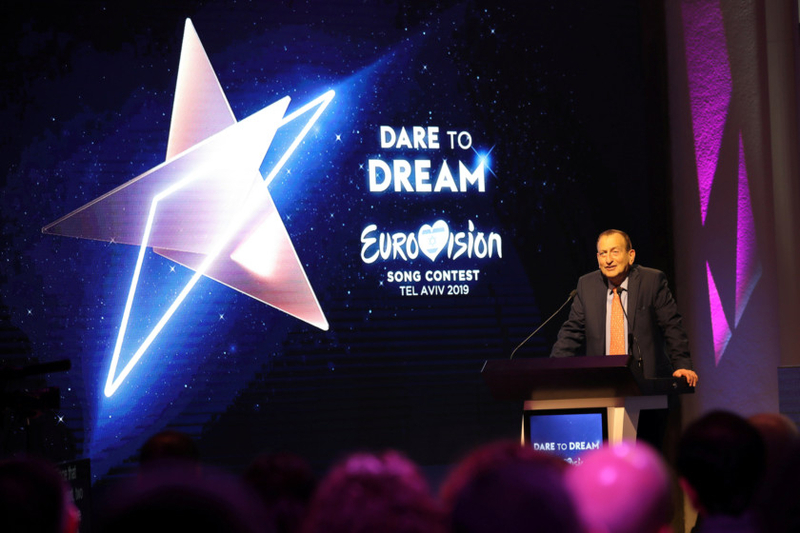 So, if it’s a boycott Israel wants to provoke, then bring it on — there are many who are spoiling for a fight, particularly when it comes to the Eurovision Song Contest. Every year, nations across Europe and beyond — for some reason Australia even has an entry — come together for the annual songfest that’s a television spectacle and cultural cabbage. For the same reason why Israel plays its football as part of Europe — it has been rightly shunned as part of the African, Middle East and Asian fraternities — Israel participates in the song contest. Under the rules, the winner of the previous year’s contest gets to host it the next — and last year Israel won. Already, leading cultural figures in the United Kingdom have signed a letter to the British Broadcasting Corporation to cancel its participation in this year’s event. There are similar stirrings in other nations in the European Broadcast Union. There’s a saying about the Irish that they don’t know what they want but are willing to fight for it anyway. In the case of Palestine, that doesn’t hold true. Bring it on.